Since it’s my last few days here (awwwh, more about that some other time) I’m trying to finish up the food I have in my apartment so I don’t waste anything by chucking it out when I’m leaving. Certain things I know I’m gonna have to get rid of – I’m never going to eat 400g of salt in the space of 5 days, and the comté cheese which has been sitting in my fridge for three weeks now looking sad since I remembered that I actually don’t like comté will sadly not be realising its full potential (especially since I have a sneaking suspicion it’s out of date at this point). However, if there was one thing I didn’t think I’d have spare when I was leaving, it was pasta. When I arrived first, I bought a normal-sized bag of pasta, 500g, and it lasted me a week. I did the same for the next two weeks and then realised it would be smarter if I copped on a bit and bought bigger bags of pasta. So I bought kilo bags for a few weeks, which lasted twice as long. Then when Dave arrived, we finished off the pasta, so I wandered out and bought some more. Again, a kilo bag, but this time, instead of fusilli, which was what I normally went for, I bought coquillette, because I liked the look of it, and had a craving for some mac and cheese. 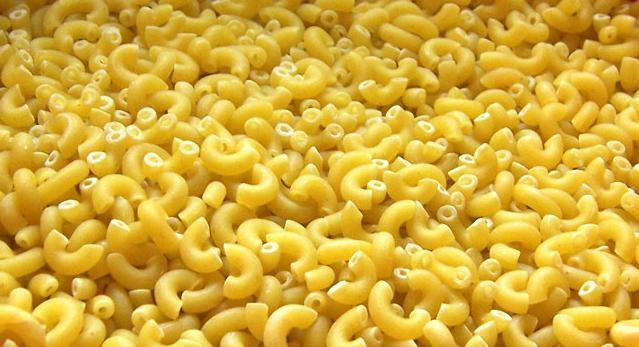 It’s not quite macaroni, but it’s similar. In any case, the pack I bought was really small coquillettes. Teeny tiny baby pastas. But it was like, 88c or something, so I was happy out. Fast forward a few weeks, I’ve been home, come back, slogged my way through most of my exams and then I’m looking around my apartment at what food I have left. And I look at this bag of pasta. how is it possible that the bag is still half full? I’ve had pasta for the last three nights in a row and the amount of pasta left in the bag hasn’t decreased by any measurable amount! It’s clearly some sort of magic pasta which I will never be able to finish. I have only three evenings left, and there’s clearly more than three servings of pasta left, so I fear I have been defeated by its dastardly ways. I just don’t understand how it’s lasted so long, though. It’s not like I don’t eat a lot of pasta. I eat a perfectly normal amount of pasta! But this one, the bag just refuses to empty! This post was brought to you by virtue of the fact that Sinéad refuses to skype me, so I can’t show her my magic pasta, and I had to tell SOMEONE.